The first moment that changed my life with Jean was hearing her tell the story of when she was about fourteen and used to run down Park Avenue in New York City, late for school. One day she literally ran into a rather frail old man in his 70’s and knocked him down. Thereafter, the old man and Jean would meet often and walk together in Central Park. The walks with Mr. Tayer were full of delight with amazing and magical conversation. Then one day he didn’t come. For eight weeks she waited and he never came again. Years later she saw his picture on the jacket of a book. Mr. Tayer was Teilhard de Chardin, the great priest-scientist, poet and mystic, and during that luminous year she had been meeting him outside the Jesuit rectory where he was living at the time. Another moment that comes into my awareness is of a conversation that Jean and I had in my office once when she was doing an intensive at Unity of Tustin. Jean had just looked at my doctoral diploma from U Mass that was hanging on my wall. She sat down and looked at me and said ‘Do you know that the School of Education program there at that time was one of the finest in the country, if not the world? I said ‘yes’…though I’d never talked about that to anyone before. My whole passion and life commitment to Experiential Learning came out of that time. 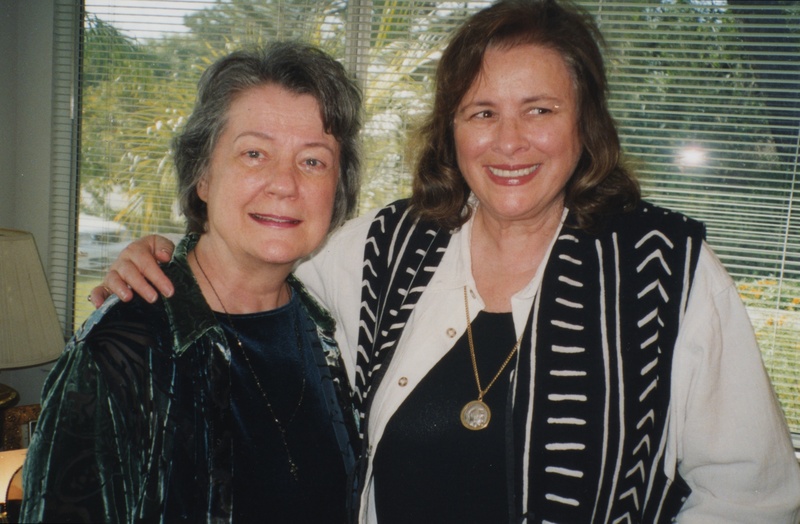 I still want to co-create new paradigms in education… And what I believe is that Jean Houston does too. It is a COMPELLING REASON that we share. I’m also remembering how beautiful the time was when Jean invited me and 3 or 4 others to come to Ashland to dialogue with her… I’m seeing her home and the treasures, feeling the treasure of her stories of how the amazing objects of art had come into her life. I’m experiencing the treasure of her life story. And I loved her response to my invitation to be part of LIVING, LOVING, LEGACY. She called early in the morning the next day after receiving it. “Yes! Of course… It’s wonderful. What you’re doing is needed and it’s extraordinary.” I felt ecstatic just hearing her voice saying those words. I felt pure Joy and a Knowing. This entry was posted in Intersections in time, Jean Houston, Marj Britt. Bookmark the permalink.